The ‘uncarrier’ yesterday clearly showed that it is the caring carrier when T-Mobile donated $360,000 to two non-profit industry organizations that assist tower workers and their families. 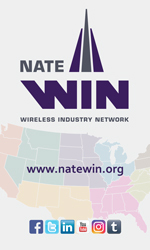 At T-Mobile’s 5th Annual National Development Golf Tournament held Wednesday in Newcastle, Wash., the carrier continued their generous track record of philanthropy by donating $180,000 to the Tower Family Foundation which provides financial assistance and scholarships to family members of a severely injured, permanently disabled, or deceased tower worker. Warriors4Wireless, an organization formed to bridge the gap between the demand for trained and deployable communication infrastructure technicians, and the thousands of qualified service men and women eager to transfer the skills they’ve learned in the military, was also provided with a $180,000 donation and recognized by T-Mobile at the event. 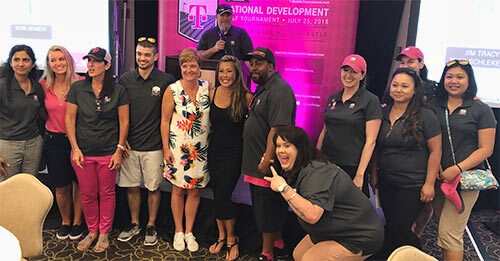 The tournament, organized and managed by T-Mobile’s National Development team under the leadership of Allan Tantillo, Stacie Harwood, Katie Miller and Heather Gastelum, was held at The Golf Club at Newcastle’s Coal Creek Course, a renowned golf course in the Pacific Northwest. The property is framed by stunning, panoramic views of Lake Washington, Mt. Rainier, the Olympic and Cascade Mountains, and the Seattle skyline. 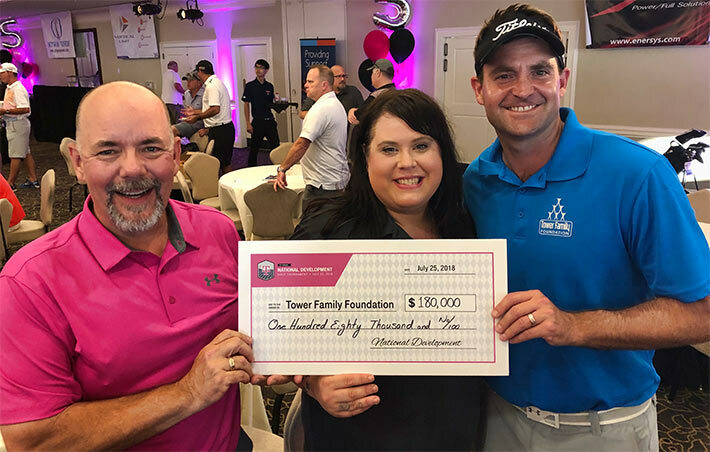 “The Tower Family Foundation continues to be humbled by T-Mobile’s steadfast generosity in supporting tower technicians and their families,” stated Tower Family Foundation President Jim Tracy from Legacy Telecommunications, Inc.
“Through this golf tournament, T-Mobile and their event sponsors have raised the bar on supporting industry-specific charitable organizations and we are very blessed to continue to be a benefactor. 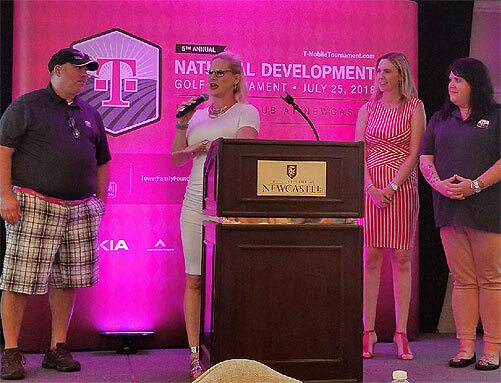 Over the last four years, T-Mobile’s National Development has now donated an amazing $435,000 in total financial support for industry workers and families,” added Tracy, who was on hand at the golf event. The Tower Family Foundation is a 501(c) (3) non-profit organization that provides financial assistance and scholarships to family members of a severely injured, permanently disabled, or deceased tower worker injured or killed in an accident stemming from working at heights on communication structures or other on-the-job related activities that tower workers are involved in on a daily basis. Since its inception less than four years ago, the Tower Family Foundation has awarded a total of $450,000 in donations and scholarships to eligible tower workers and their families. Interested stakeholders are encouraged to visit the Tower Family Foundation’s website to learn more about the organization and make an online contribution. Additional information about Warriors4Wireless is available here.